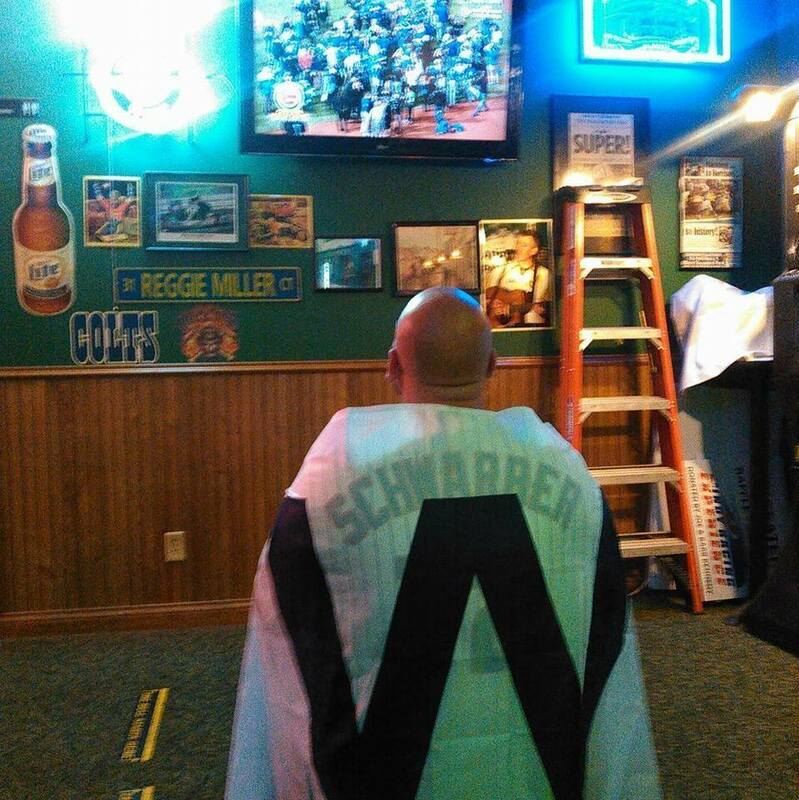 This article is about a man who has defined all the classic traits of fandom. 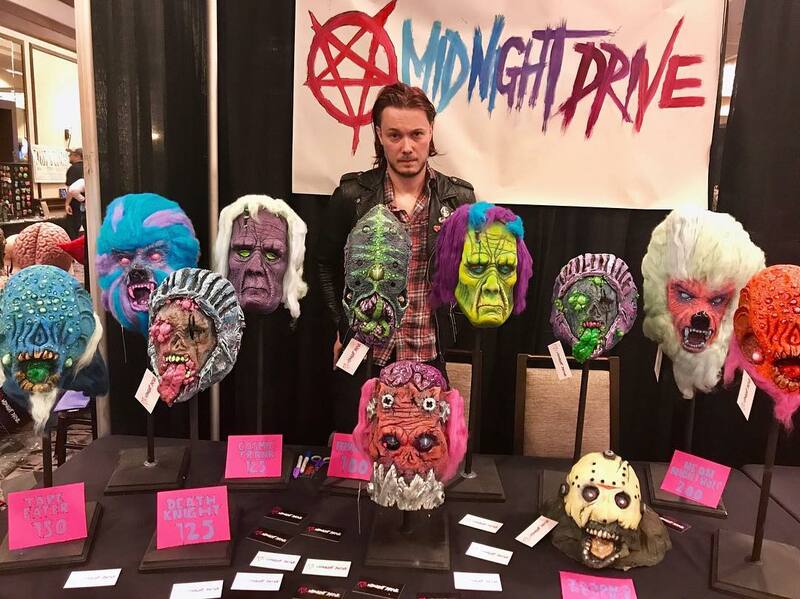 From an early age he got involved with genre film, has amassed an unmatched prop and memorabilia collection, helmed publication of a beloved monster magazine and has over the years been involved in almost every aspect of the entertainment business. Now, to the surprise of pretty much every fanboy reading this, I will reveal that I am NOT writing about the man touted as the godfather of genre entertainment fandom, Forrest “Forry” Ackerman (1916-2008). This article is about another, truly fascinating and pioneering man whom you probably have not heard of, Bob Burns (b. 1935). Bob and his buddy, the original King Kong armature. 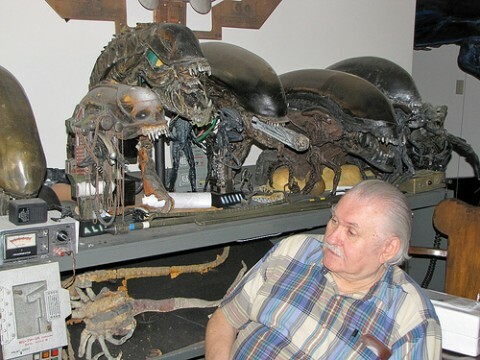 Bob shows off his collection of Alien head props. A custom poster honoring Bob’s accomplishments by George Chastain is shown here. Bob began living a life of fandom at an early age, listening to hero radio programs, sending off for every decoder ring and souvenir premium advertised, buying some of the earliest superhero, monster, and spaceman toys made and taking in a steady diet of cliff hanger serials and monster double features at the local matinee. What differentiated Bob from other kids was that before he was 10 years old, he began meeting his matinee idols, going on set to see movies being made, collecting props as souvenirs and hanging out in effects workshops. During a chance meeting at a speaking event for Ray Bradbury, Bob befriended effects creator Paul Blaisdell. 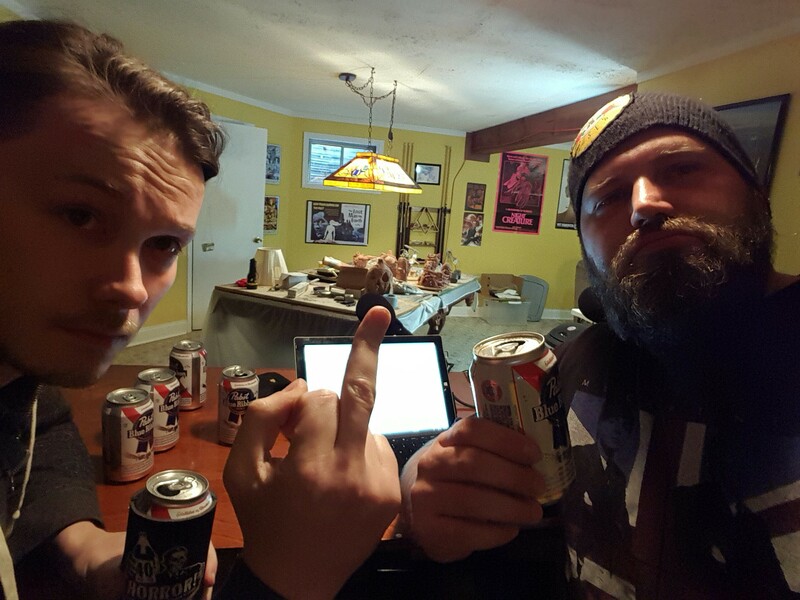 Paul became THE low-budget effects guru, able to do a lot with no support, little money, not much time and scant recognition. This was necessary to get the job done, as Paul was Roger Corman’s “go to” guy for creatures and effects. Bob and Paul became best friends as Bob assisted and encouraged Paul in his workshop on nights and weekends, while he toiled on effects for movies such as Day The World Ended (1956), It Conquered The World (1956), The Undead (1956), The Amazing Colossal Man (1957), Invasion Of The Saucer Men (1957), Not Of This Earth (1957), Earth Vs. The Spider (1958), Teenagers From Outer Space (1958), How To Make A Monster (1958) and many more. After being drafted in 1958, Bob entered the army, where he landed an unusual job that he was well-qualified for. Bob was put in charge of creating casualty simulations for medical trainees. At the time he arrived the men portraying the wounded during these exercises merely wore tags that described their wounds which had proved ineffective preparation for field medics who were about to confront the real thing. Bob ended up making these pretend casualties actually look like they had been shot, stabbed, fragged or even disemboweled, all using effects appliances, make-up, and of course Bob’s favorite, fake blood by the drumful. During his tenure with Uncle Sam and for a while thereafter, Bob also got involved doing make-up effects, props and appearances as monsters on the local shock theater horror host program. Once he was out of the Army, Bob reconnected with Blaisdell again, this time to work in print rather than on screen. 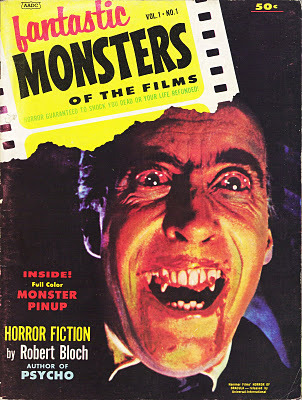 They founded Fantastic Monsters of the Films as a magazine for serious genre-film aficionados. It was the first publication to look inside special effects production and movie make-up techniques. They also included original fiction by Robert Bolch of Psycho fame and a column by horror-meister Vincent Price. Sadly, after only six issues, the magazine folded due to a suspicious fire at the printer’s that cost Bob and Paul not only the magazine and all their savings but also the loss of many irreplaceable photos, lobby cards, and press releases. Despite it’s short run, the magazine had a huge impact on many film fans and potential film makers. A lifelong fan of guys in gorilla suits, Bob became one himself when he began making TV appearances as Kogar after having a custom suit put together for him by his wife Kathy and “The Godfather Of Halloween”, mask maker Don Post. After numerous TV guest spots and some time spent doing live appearances at Magic Mountain amusement park Bob morphed Kogar into Tracy, the beany-wearing gorilla of The Ghost Busters TV fame where Tracy starred opposite F-Troop‘s Larry Storch and Forrest Tucker. Starting in the late ’60s, Bob became inspired to do more than just hand out candy to local trick-or-treaters while dressed in a monster costume. His Halloween set up grew from a Dr. Frankenstein lab built in his living room to an extravaganza that took over the whole house and yard. 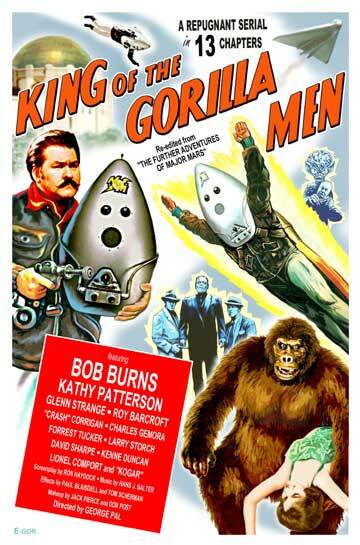 By the end of the ’70s, his productions had themes (War Of The Worlds (1953), This Island Earth (1955), Dr. Jekyll and Mr. Hyde, and even one featuring the return of Kogar the gorilla) were written up in magazines, featured on the news and were being designed by Bob and some of the biggest name effects creators in Hollywood. Bob’s haunted houses peaked with an Alien (1979) themed event that featured numerous props from the film, was endorsed by 20th Century Fox and even starred Walter Koenig of Star Trek fame. 1982 was the last year of the annual festivities simply because effects-driven movies were so popular that Bob’s crew of creative pros were too busy working on Hollywood sets to help him build his. Along the way in his career, Bob has befriended, encouraged, championed, and even discovered some of moviedom’s top names in the creature business. Bob has had special friendships with and worked with seven-time Academy-Award winner special effects guru Rick Baker, stop-motion genius Ray Harryhausen, producer/director George Pal, the aforementioned Paul Blaisdell, the Chiodo brothers of Killer Klown’s From Outer Space (1988) fame and eight-time Oscar winner special affects god Dennis Muren. 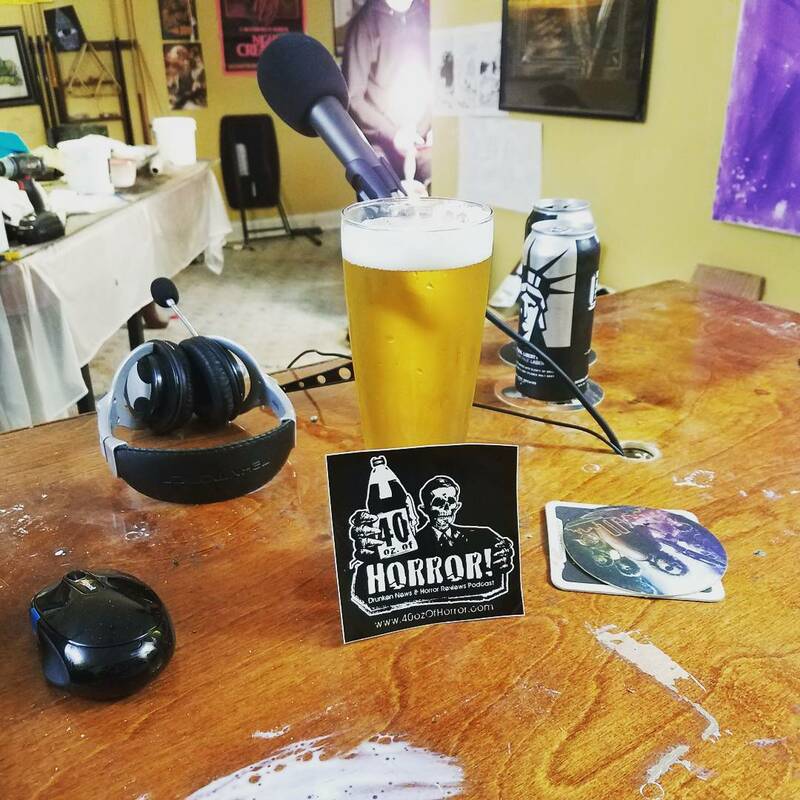 As if all of these adventures would not have been enough to land Bob a top spot in the Horror Hall of Fame, there is Bob’s mind-blowing memorabilia collection to contend with. His personal museum contains costumes, props, posters, stills, lobby cards, clippings, press kits, promo items, artwork, scripts, etc., etc., etc. It has been recognized by everyone from the New York Times to the Smithsonian featuring items from as far back as 1935 all the way to those of current films. Some of the most notable items are the Wolfman’s cane head, Flash Gordon’s shirt, Frankenstein’s monster’s forehead and boots, the heads from Invasion Of The Saucer Men, the original Time Machine, Rocketman’s costume from the Republic serials, Lon Chaney’s Mummy mask, the cantina creatures’ heads from Star Wars (1977) and the last existing armature from the original King Kong (1933). The collection also includes extensive items from films such as An American Werewolf In London (1981), Terminator 2 (1981), Ed Wood (1994), Alien, the original Mighty Joe Young (1949) and Cronenberg’s The Fly (1986). Long consulted by Hollywood insiders on horror and sci-fi projects, public recognition is finally coming Bob’s way. 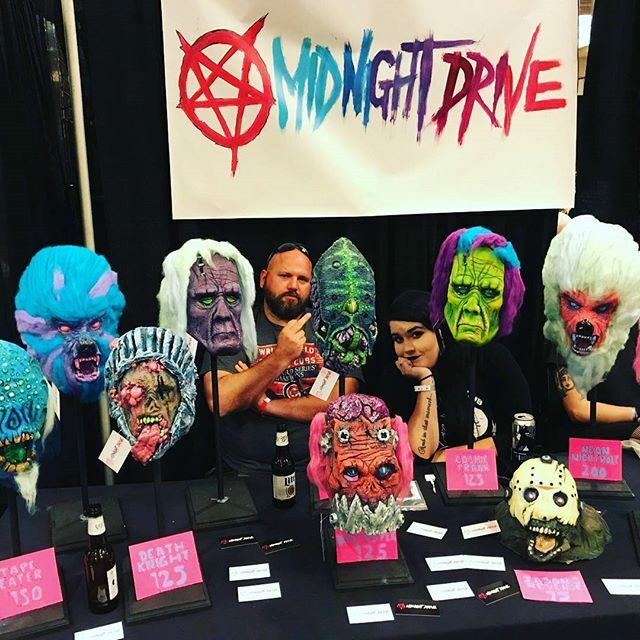 Bob runs a website, has published a book showcasing his collection, has participated in events for AMC’s annual Monsterfest, contributed to many DVD commentaries and is soon to be the subject of a film documentary called Beast Wishes. Bob deserves these accolades and more for paving the way for all of us who love genre films and aren’t afraid to let that show in every aspect of their lives.